Sponsorship – Just Speak Inc.
Help us continue our program outreach throughout Metro-Detroit schools and facilities. More than 90% of Just Speak program participants are surviving trauma from abuse, neglect, tragic death or assault. The outLOUD program takes an average of 40 hours a week to empower youth to have a voice by teaching resiliency, ways to resolve conflicts, and developing an emotionally healthy individual. We support the community by building trauma-informed schools. Advocacy for our children and youth changes those numbers, by preventing and intervening with programs and training. Donated heated space for peer groups, workshops and study time. A reliable, late model SUV to transport volunteers, supplies, and equipment to satellite locations. 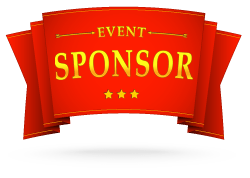 Sponsorship for programming and events . Sponsorship for youth participants (when programs are in session): healthy snacks, incentives, tee shirts, and toiletries. Supporter : $25.00 USD Support our training program for our Just Speak advocates! Friend : $50.00 USD Be a friend, and sponsor one student in outLOUD for the entire school year, includes a retreat or field trip. Advocate : $100.00 USD Advocates support at least two student, and professional outreach services & workshops for school staff and administration.